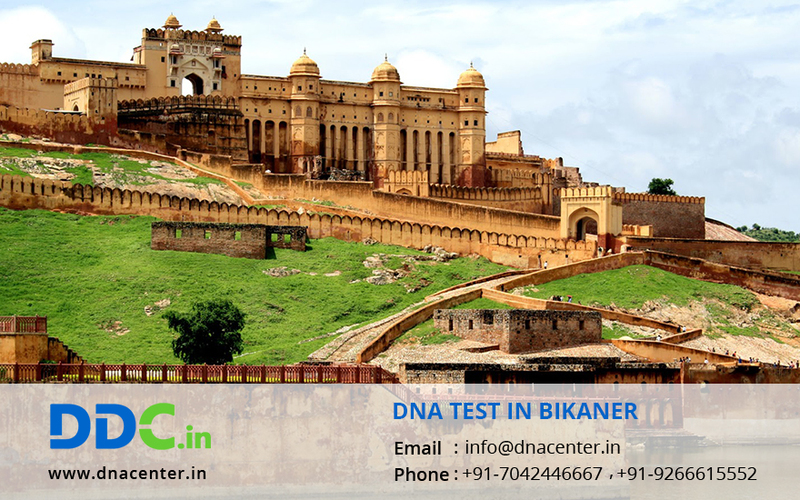 DNA Test in Bikaner Rajasthan can be done by DDC Laboratories India. Keeping in the mind, the high demand in Rajasthan, we have opened up collection centers in various locations in Rajasthan. DNA has done miracles when it comes to human identity and has solved cases of infidelity where there is always notion but no proof. DNA from the crime scenes is tallied with the alleged criminals. This makes the task of the police much easier. DNA is the answer to such a problem where any hereditary disease can be detected. You could even identify dead bodies that have been spoilt beyond recognition due to natural calamity or war. In adoption cases, the parents are always in a doubt that some major disease may show up in future so they prefer getting a DNA test done. It can also be done simply for peace of mind. At DDC Laboratories India, we have a team of trained professionals to help customers ensuring they get the best of DNA testing services. The samplers get comprehensive and rigorous training to ensure quick and accurate results. We offer DNA tests as per government norms at reasonable rates. For any kind of DNA test in Bikaner Rajasthan please fill the below form and our executive will contact you or to find out the best DNA test for you, call us at: +91 7533008488.